Lotto Jackpot 10,900 euro. There was no winner. Numbers drawn were 7, 16, 19, 29. No winner. Next weeks jackpot €11,000. Lucky Dip winners Sean Byrnes, Pat Quinn, Dave Mahon. Lotto Jackpot 10,700 euro. There was no winner. Numbers drawn were 5, 8, 17, 20. No winner. Next weeks jackpot €10800. Lucky Dip winners Michael Cullen, Dylan Moran, Tom McHugh. Lotto Jackpot 10,700 euro. There was no winner. Numbers drawn were 11, 17, 18, 20. No winner. Next weeks jackpot €10800. Lucky Dip winners Mary Bollard, Mary Davin, Noel Smyth. Lotto Jackpot 10,600 euro. There was no winner. Numbers drawn were 6, 8, 23, 31. No winner. Next weeks jackpot €10700. Lucky Dip winners Mary Mullen, Jarlath McHugh, Evelyn Ronayne. 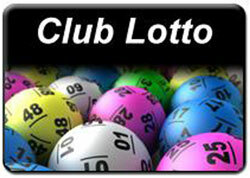 Lotto Jackpot 10,500 euro. There was no winner. Numbers drawn were 9, 10, 11, 27. No winner. Next weeks jackpot €10600. Lucky Dip winners Mary Burke, Geraldine Mullally, Mary Heskin.